The privately owned Peninsula New York is managed by Jonathan H. Crook, a Peninsula legend with 10 years of experience in key executive roles in both North America and Asia. In a city where confidence counts, The Peninsula New York is very sure of its identity as a 5th Avenue landmark renowned for comfort and class. 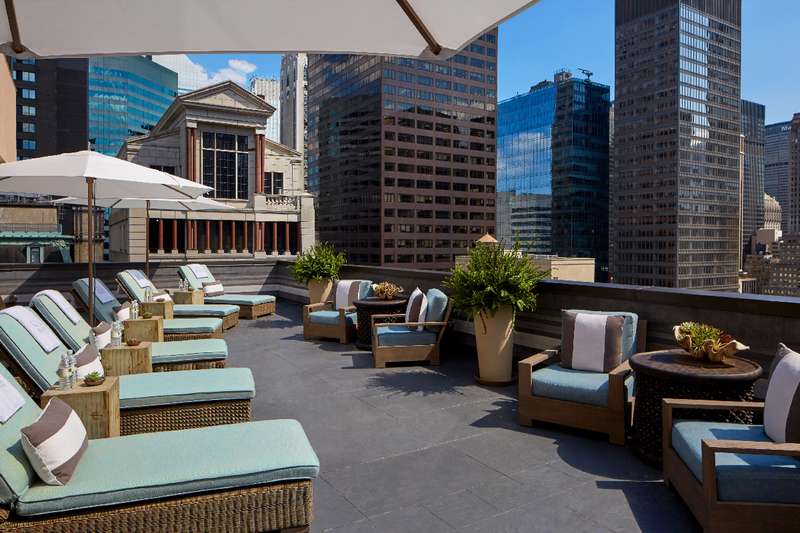 The hotel occupies an elegantly restored, 23-story Beaux-Arts landmark building on Fifth Avenue. 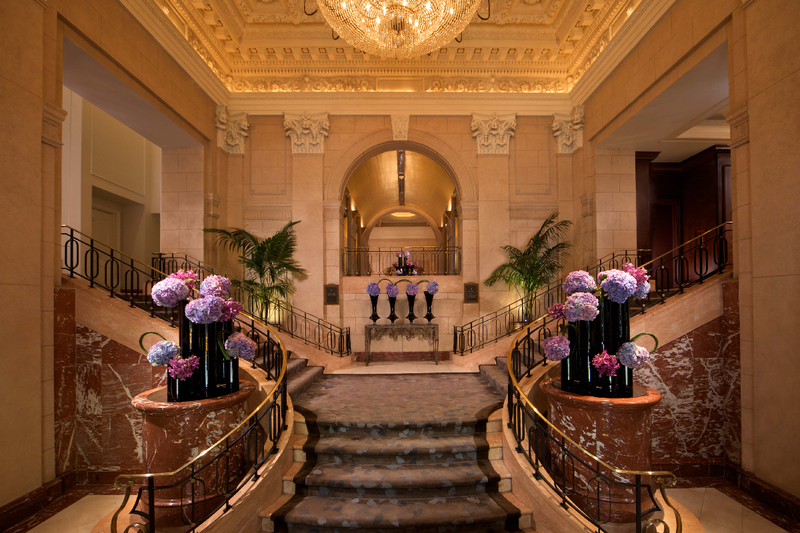 Debuting under The Peninsula Group in 1988, when HSH purchased the Hotel Maxims de Paris, formerly the Gotham Hotel. Original construction of the property was led by renowned architecture firm, Hiss and Weekes and completed in 1905. 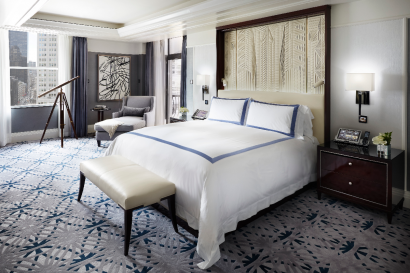 In 2009, an overarching property renovation included refurbishments to The Peninsula Guest Rooms, Lobby, Private Event & Meeting Spaces, Spa and the roof-top bar, Salon De Ning. Ideally located on Fifth Avenue and 55th Street, in the heart of the city’s most prestigious shopping, cultural, and business neighborhood in Mid-town Manhattan. The hotel is in walking distance to many of New York’s finest attractions including Central Park, Rockefeller Center, the Museum of Modern Art and Broadway. Known for its world-renowned service and attention to detail, The Peninsula New York is a destination for discerning global travelers and locals alike. Offering 185 spacious and luxurious guest rooms and 54 suites, including the recently unveiled Peninsula Suite comprised of six rooms featuring stunning views over Fifth Avenue. The luxurious accommodations are decorated in a classic, contemporary style with art nouveau accents. 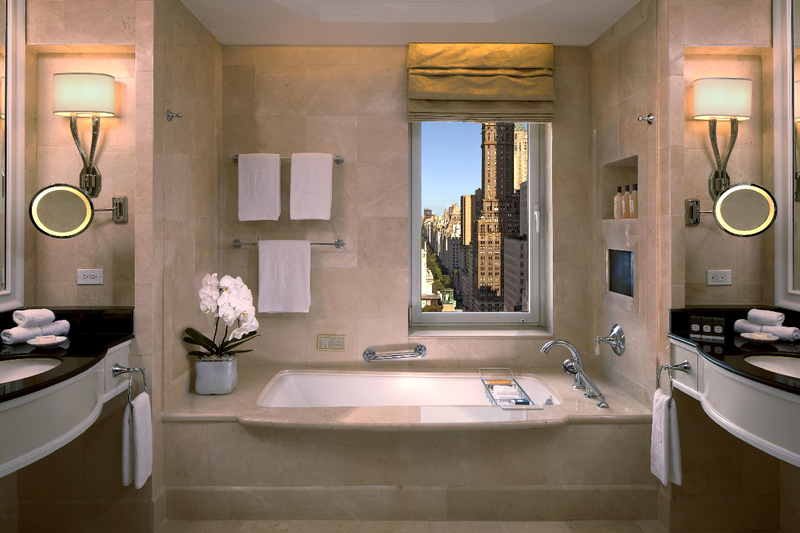 All guest rooms feature a custom collection of bathroom amenities designed exclusively for Peninsula Hotels, by Oscar de la Renta. • Clement & Bar at Clement – The recently unveiled Clement restaurant features Contemporary American cuisine by Chef de Cuisine Brandon Kida that brings the flavor of the Northeast to the heart of the city. Designed by Yabu Pushelberg, the carefully planned spaces cater to a range of occasions, from an intimate tête-à-tête to power lunches and lively suppers. 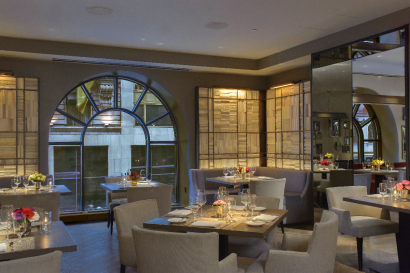 Private and semi-private dining areas are available for quieter gatherings. • The Bar offers a bewitching menu of cocktails, a selection of wines and Champagnes by the glass, and small plates with an Asian influence. A low leather communal couch and smaller duet tables offer a variety of seating opportunities for groups of all sizes. 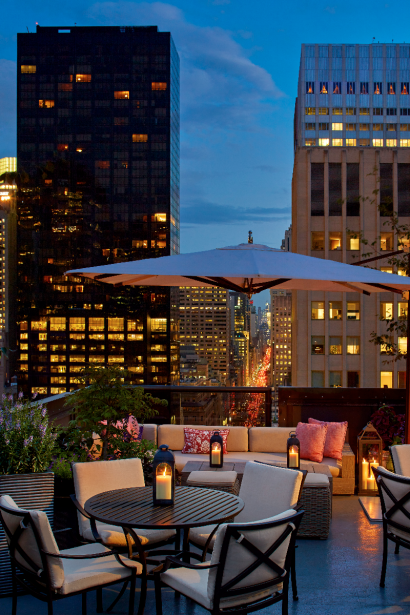 • Salon de Ning – A stylish bar and lounge in Mid-town Manhattan, with stunning views over Fifth Avenue. Located on the rooftop terrace of The Peninsula New York, East meets West in Salon de Ning, with Chinese and international influences fusing in a stylish mélange of cultures reflecting the glamour and style of 1930’s Shanghai – the “Paris of the East.” The dramatic rooftop terraces provide the perfect venue for private events. • The Gotham Lounge – Public yet private, fashionable yet discreet, businessmen and lovers of traditional Afternoon Tea come here in equal numbers for the sense of seclusion offered by the generously spaced tables for every kind of meeting. Revitalize mind, body and spirit. 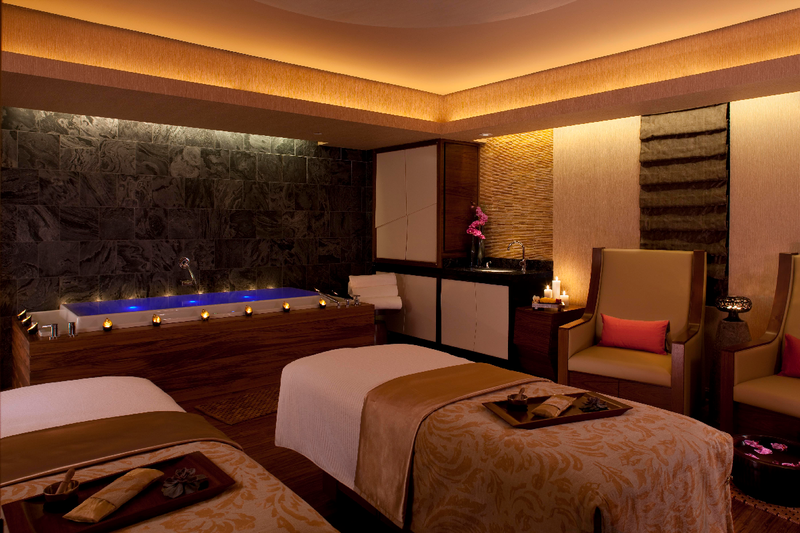 The Forbes Five Star-rated Peninsula Spa is a rooftop oasis providing an ideal retreat from the demands of the city. This sanctuary of seclusion and peace offers luxurious body treatments and skincare products in partnership with the French luxury skin care company, Biologique Recherche. 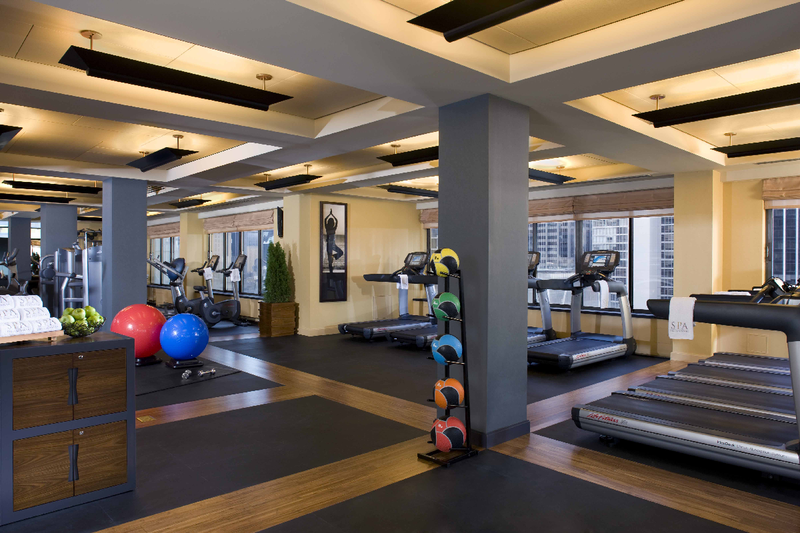 The bright and airy fitness facility offers the latest in cardiovascular and strength training equipment, and a tranquil sun-lit yoga studio. The décor features distinctive bamboo floors, teak accents and natural ambient lighting designed to highlight the spectacular skyline views. 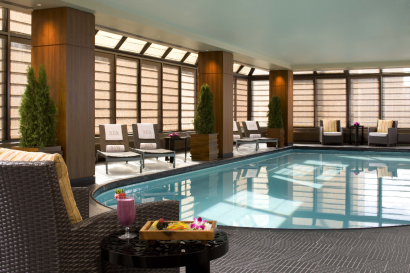 The serene glass-enclosed swimming pool also features a sophisticated look that complements the stunning city views. The Sun Terrace with captivating views of the Manhattan skyline, relaxing sun loungers and outdoor dining provides a Zen escape from the ubran bustle on the streets below. Open exclusively to hotel guests and day Spa guests who book a minimum of two hours of treatments. 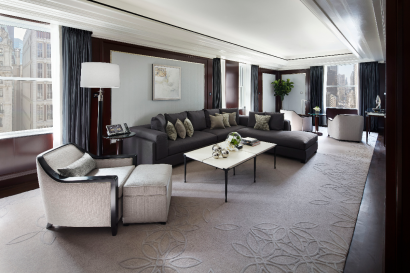 For high-profile events, executive meetings and special celebrations, The Peninsula New York seamlessly blends elegant facilities and expert event planning. Every detail is meticulously tailored to suit the occasion and enhance even the most extraordinary affair. 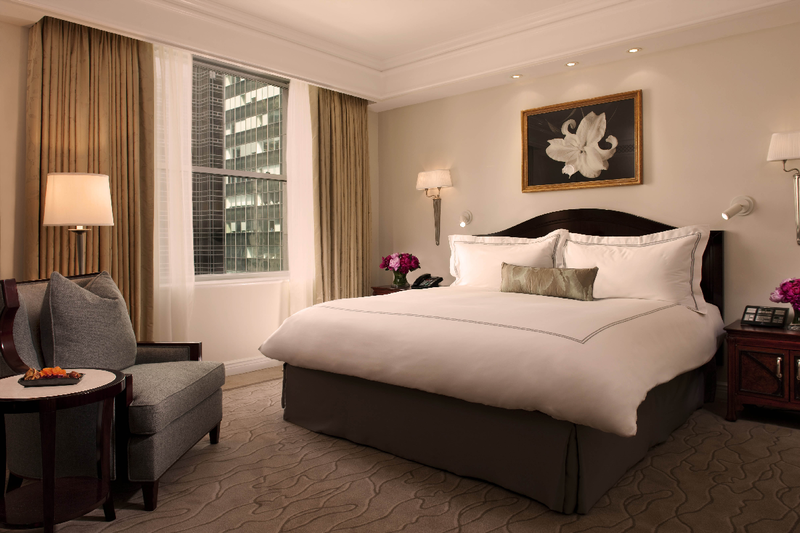 Decorated in modern, stylish elegance, The Peninsula’s five intimately scaled function rooms encompass 3,300 sq ft. all with exterior windows allowing natural daylight. Additional venues range from the gorgeously appointed Peninsula Suite, perfect for lavish dinners, cocktail receptions and product launches, to the dramatic rooftop terraces of Salon de Ning. 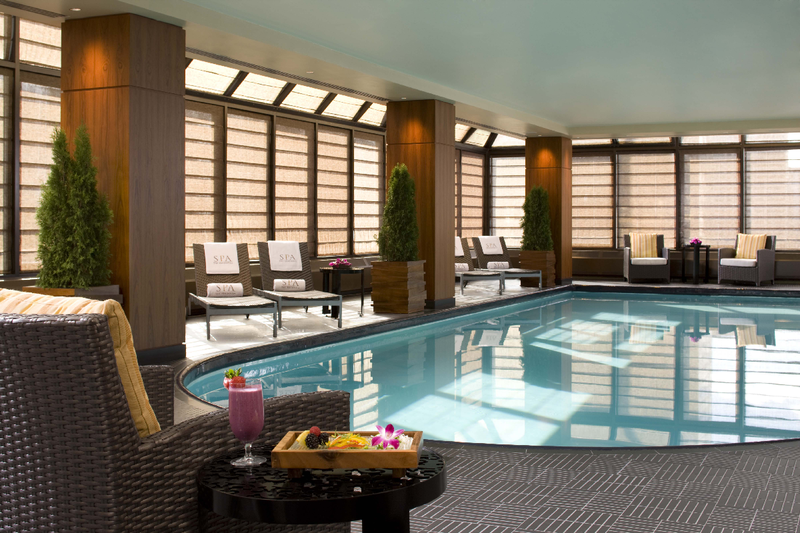 • Best Business Hotel in NYC, and Best Hotel Spa in all of North America, Condé Nast Traveler 2012. Over the past decade, The Peninsula New York has distinguished itself as one of the world’s leading luxury hotels receiving top accolades from the likes of Travel & Leisure World’s Best, US News & World Report and many more.